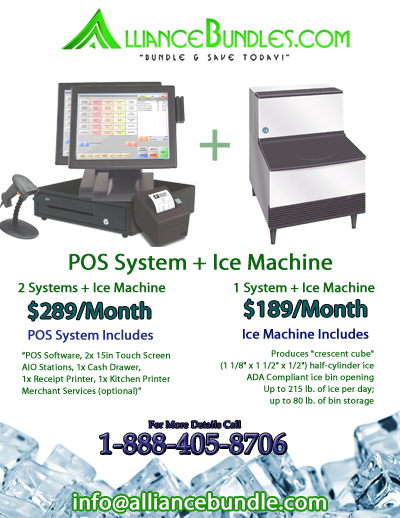 Ice Machine & 2 POS Systems installed only $289 per mo lease 2 own! Add a gas fryer for only $29 more! Includes on-site installation, Training & 24/7 Technical Support; 2 Complete Touch Screen Systems with Software! Call for a DEMO! With receipt printer, cash drawer & Kitchen Printer. Add a CCTV Security Camera Kit for only $45 more! Installed within 3 business days L@@K everything LOCAL!